7pm Door, Music at 8pm. $2 Pulled BBQ Chix Sliders, .50cent Wing Special w/House Made Fresno Tabasco Sauce, and $5 LOCAL Draft Beers. The Consequences are Smoky Sultry Torch Blues – reminiscent of the 1940’s. 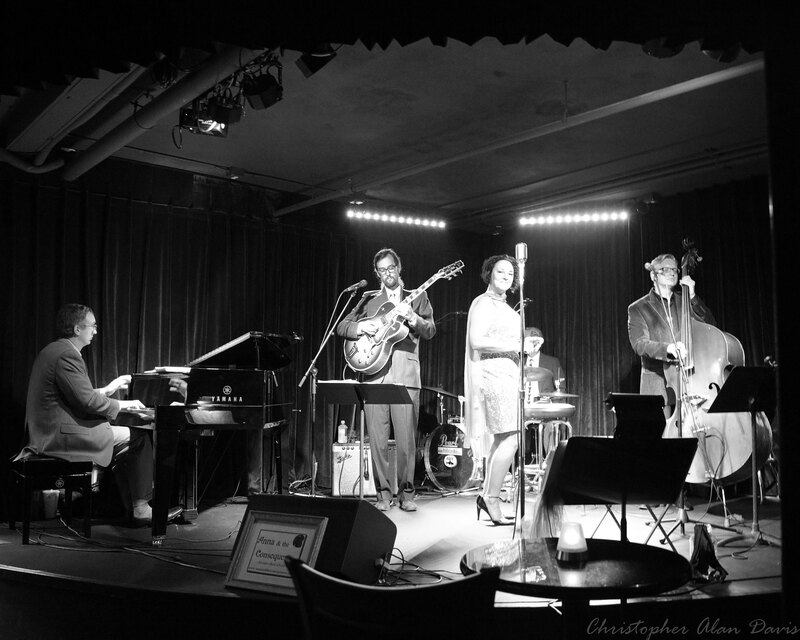 This hot jazzy blues band swings and grooves lending to the speakeasy feel of Notes’ ambiance. Songbird Anna Paolucci channels that torch music with heart and soul joining the Consequences ALL STARS!! This one-time-only, HEAVY HITTING lineup of All-Stars, features top local, regional and international talent guaranteed to get you bopping and dancing. Like hip cat Tom Davis on guitar. Anna first heard Tom with local blues-n-funksters The Broadstreet Lineup and she was hooked! (Vaughn Weister’s Famous Jazz Orchestra, and www.willienelsonmandela.org) GUEST and Akron jazzer, Nick Paparone – Nick plays very tasty licks on guitar too so both guitarists on ONE stage and the place will be SMOKIN’! Creme-de-la-creme pianist Caleb Hutslar adds his own roadhouse blues to the mix and you won’t sit still. Bring on bassist/guitarist, Andy Kuss, who croons just like the rest already on stage and you bet the place will be hopping! Now add Ms.
Ryan Stolte-Sawa, the cherry on the sticky sweet sundae of Anna & the Consequences… Ryan’s voice is delicate yet strong, golden. She even makes heartbreak feel good! But the real soul sister joining us for an encore is Ms. Darchelle Williams – better hold on to your hats and kick off your shoes, that’s all I can say. Did you say Extra whip cream please? OKAY, you got it cuz we’re serving up Joe Nelson on skins and brushes PLUS legendary Ron Hope on percussion! Anna was born and raised in Akron, Ohio but has called Columbus home for 30+ years where she co-founded the acapella group, Throat Culture. 10 years ago Anna began forging musical relationships with multi talented musicians who regularly join her on stage in both Columbus, Akron, Cleveland, Newark and more, as Consequences… because there always are! Buy your Tix NOW cuz this show is gonna be HOT HOT HOT!